Multiplayer-focused shooters remain at the forefront of the industry. Whether it's Call of Duty, Battlefield, or most recently Overwatch, it's clear that everyone loves to jump online and put their skills to the test. 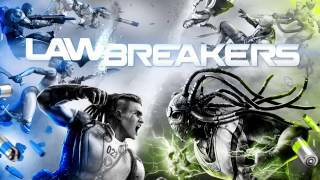 But variety is the spice of life, so when well known game designer Cliff Bleszinski decided to come out of retirement and create LawBreakers, many fans were quite enthusiastic. That enthusiasm was quelled somewhat when it was revealed that the game will be free to play; but thankfully a few years later, it is now a regular full-featured and well priced product. We had a chance to learn more about the game and play a competitive round at E3 2017. Although the game's tagline is "gravity defying combat", the action actually feels quite well grounded. Sure, you could leap in the air on occasion and a few of the special attacks are quite devastating to the entire area, but for the most part this is more about high-octane shootouts with bursts of flight, rather than all-out Saints Row. The two teams facing off in each match are named Laws and Breakers, making the game’s name sound a bit silly now that you realize this. The matches play out in a 5vs5 format and this seems to be a good balance. The full release will feature modes such as Turf War (king of the hill like mode, holding multiple points on the map); Overcharge (capture and hold a battery to score); and Blitzball (a capture the flag like mode) . At E3, I had a chance to play the Blitzball mode on the Reactor map. This tech facility map had a decently narrow layout, with a few paths for each team to take. It felt balanced with many opportunities for flanking and approaching the action from different angles. There were a few elevation changes and up/down alternate paths as well. Visually though, it felt quite run-of-the-mill, and wouldn’t look out of place in another futuristic shooter. For each match, players will be able to choose from a variety of unique characters, each of course equipped with their own battle abilities and weapons. Each class exists on both teams, but represented by a different character to help the action feel varied. Initially I tried out Assassin, but brining my taser machetes to a gunfight was not the best idea. This melee class is obviously viable – having long range options, and capable of grappling to any surface or target, it’s a deadly close range class – but it didn’t feel right for the map and action-packed match that was unraveling. In the full game, there will be a variety of classes for every type of player, but there wasn’t time to try them out during our demo. Battle Medic promises to be the healer, Gunslinger carries a powerful shotgun, Titan has a rocket launcher right off the bat, and the Harrier just goes all-out with laser rifles. How well all of this is balanced remains in question of course, but hopefully things will be fairly even. So in our match, I swapped to Enforcer. This agile yet well-equipped class was clearly designed to be an all-around balanced solider. My standard loadout consisted of a good fully-automatic assault rifle, a secondary pistol, and an EMP grenade that would distract anyone caught in its blast. The movement and shooting felt really good, so I stuck with him for the rest of the game. A limited gauge allowed me to burst with speed, as I made my way through the facility in search of the ball. The controls felt really good, without the floatiness of Overwatch or the absurd precision required by Counter-Strike or Unreal. It was a nice middle ground that made me feel comfortable in control of the reticule. To orient yourself and find the combat quickly, players can see the outline of the ball and friendly combatants via markers, even through walls. The ball itself is drooped as soon as you die, but to pick it up it takes a few crucial moments of standing at its location. This further helps to pace the mode and make it more strategic rather than hectic. Aside from the standard loadout, each class also has special abilities. For the Enforcer, I could activate a Distortion Field that gave me a speed boost – for movement, shooting and reloading – and also gave this benefit to any friendlies nearby. During particularly crazy encounters and when all ammo was spent, I could deploy another special ability – the Bloodhound Launcher. After needing a few moments to lock-on, this salvo launcher unleashes homing rockets that do great damage; a satisfying attack that reminded me of Titanfall. 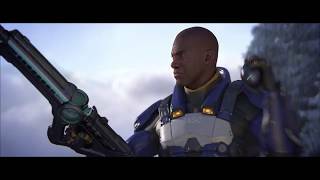 This is a good time to mention that players have a decent amount of health in LawBreakers, so time to kill is fairly high and thus – again – the pace is deliberate and more strategy-oriented. You can also see the health bar of your opponents and try to pick off battle-worn stragglers. To be fair, our demo was on PC, and I don't know how well the experience translates to console controls (PS4). But as a PC shooter, LawBreakers felt very competent and comparable to other games on the market – which are typically more expensive. With our match wrapping up, I managed to finish second on the scoreboard for my teamplay, despite never running the ball into the opponents’ goal. We also dominated the other team 7-1, and it felt like a satisfying victory that also just happened to be shoutcasted for the E3 audience watching around the booth. 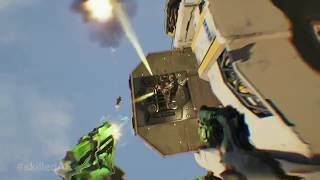 As a fan of Counter-Strike and Unreal Tournament, I didn't much enjoy Overwatch. But I did have a good time with LawBreakers. Although it may seem like a very stereotypical design - a class based, multiplayer-only shooter - comparisons to the likes of Quake Champions aren’t really fair. This is its own game, one that feels tight and action packed, and yet still clearly decipherable and easy to grasp. There are plenty of special skills to learn, high time to kill, and a good flow to the action. The lower price point is also going to hopefully do the game some favors. Although it may have started off as a free-to-play title, what we'll be getting at release now feels like a complete and mostly polished experience. LawBreakers is coming to PC and PS4 this August.